With warm weather either here or on the horizon, it's important to remember to keep your pool safe and clean form potential debris. What better way to do that than with the Intex Aluminum Base Solar Pool Cover Reel. 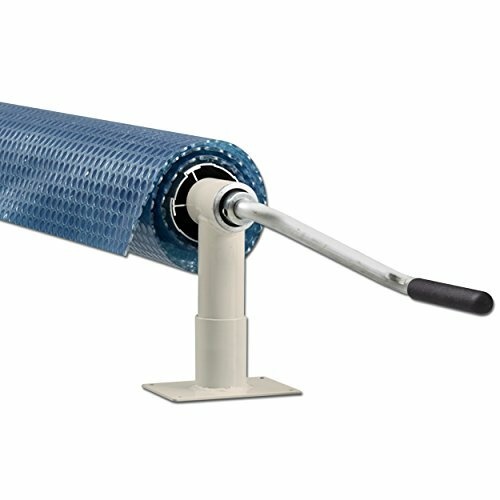 This reel conveniently attaches to the metal frame of your pool. 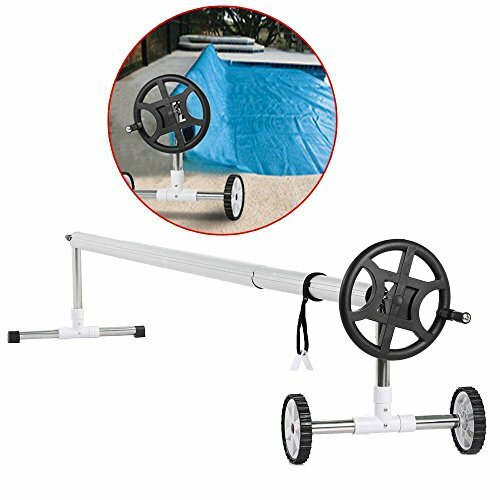 It's built with heavy-duty construction and is size adjustable, meaning it's easy to cover and uncover your pool. This reel will ultimately extend the life of your solar covers and pool. 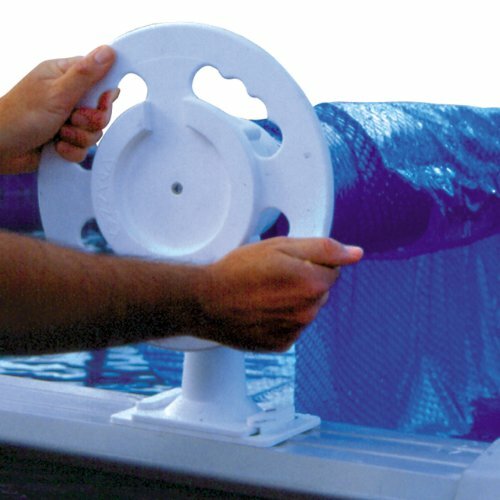 Keep your pool safe and covered all year long thanks to the reel. 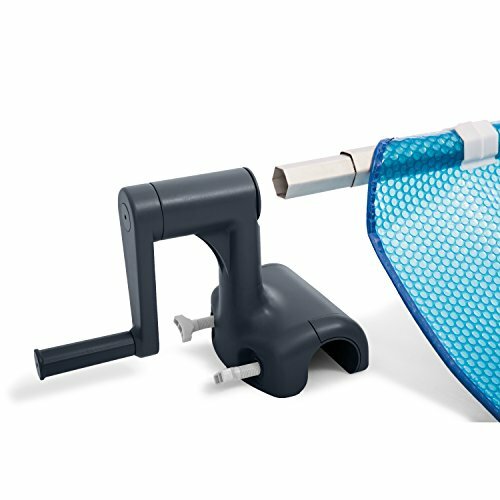 This one person, easy operation reel system's innovative design allows you to roll up any pool solar blanket. Fits either round or oval pools. 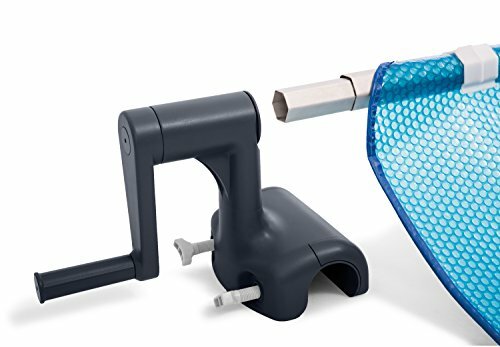 Entire pool cover reel and blanket assembly pivots off and away from swimming pool during use. 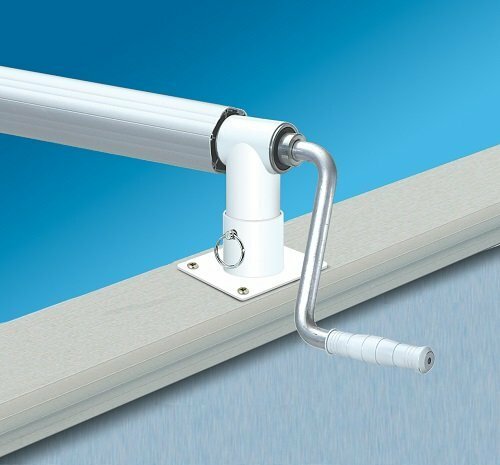 Installs on deck or wall. Easy assembly. Comes complete with reel/blanket attachment kit. 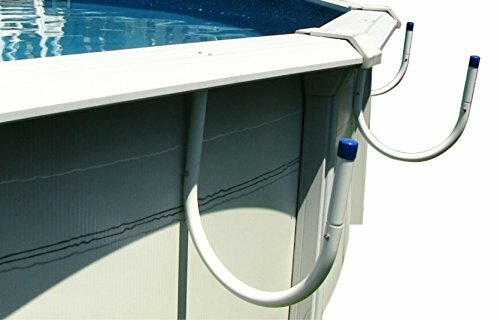 This pool solar reel system will accommodate up to a 12ml solar blanket. 2827 and 2828 are wheel style reels, **2833 is a post and crank style reel due to weight of larger covers. Keep your pool water warmer with this environmentally friendly heating method! all the benefits of covering your above ground pool without the hassle. Easy to install & use. 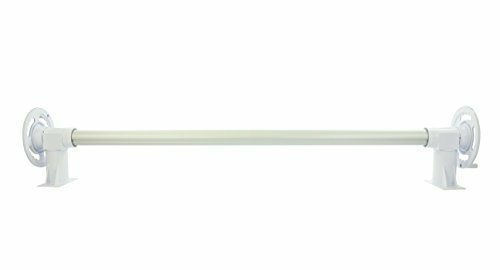 Suitable for rectangular frame pools with width from 9'-16'.